There are three relatively distinct phases to what is now the Turner Valley Oilfield Society. The initial phase, which began formally in 1978 had a broad mandate that considered the rich history of the region. This gave way sometime in the late 1980s, when the focus shifted toward the “Hell’s Half Acre Interpretive Centre”. 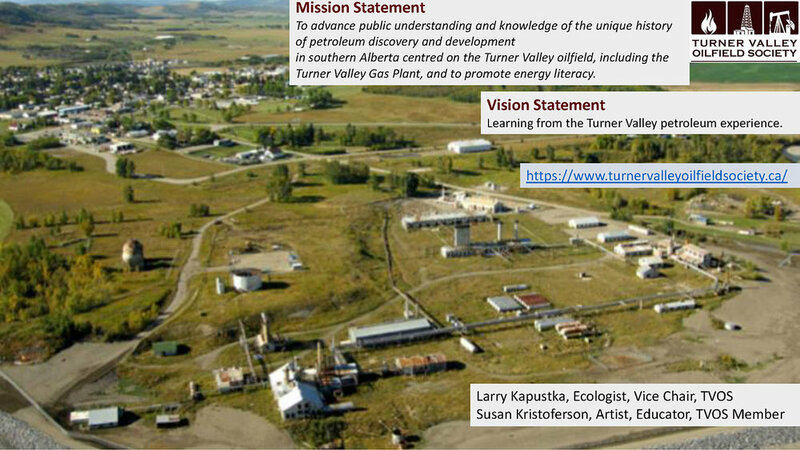 In the later part of the first decade of this century, with ownership of the Turner Valley Gas Plant transferred to the Province, the TVOS transitioned into its current focus as captured in a newly crafted Strategic Plan. The Society was registered on 14 June 1978 as the High Country Historical Preservation Society. 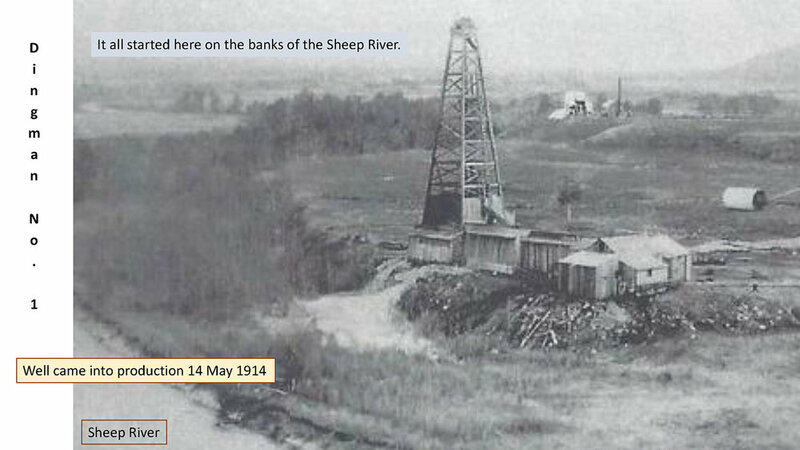 For a brief period, this became the Turner Valley Oilfield Society and Historical Association. The name was changed to the Turner Valley Oilfield Society in 1982.
a. 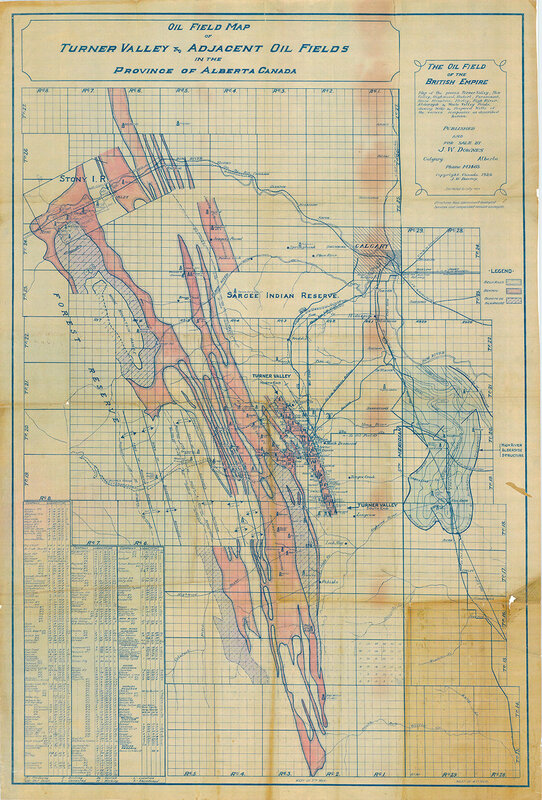 To locate, preserve, and mark heritage, recreational, cultural sites, and other such artifacts of historic interest for the benefit of present and future citizens of Alberta, i.e., [sic] Indian relics and sites, ranch lands, oilfields locations, recreational sites and such other works of interest of our past heritage. b To preserve historical names of geographical locations and sites. When the Turner Valley Gas Plant was shuttered in 1985, a major effort of the Society was to secure the preservation of the facility. Just three years after closing of the facility, Alberta Culture in 1988 acquired the Turner Valley Gas Plant. The site was designated a Provincial Historic Resource in 1989 and was named a National Historic Site in 1995. During this period, TVOS reached 422 individual members and 86 corporate members. In 1989, the Board adopted the Hell’s Half Acre logo and pin and the name became synonymous with TVOS including having the names merged on a website, although there was not a recorded name change since 1982. The primary motivation of the Society at that time was to establish an Interpretive Centre as envisioned in The Hell’s Half Acre Project. This effort was supported by a donation of $100,000 from Gulf Oil in January 1990. 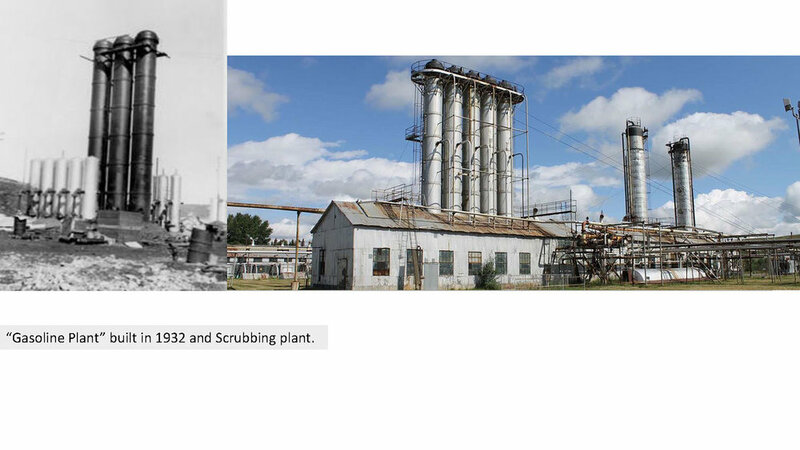 The early TVOS success in advocating to have the gas plant declared a historic site was a significant and important milestone. Since then, TVOS has a history of working with the Government of Alberta Ministry of Culture and Tourism in supporting the operation of the gas plant site as an historical venue, including assisting with tours conducted during summer months. The TVOS has been particularly interested in ensuring that the tour guides have the background to deliver interesting and accurate tours of the site. The TVOS works to promote the technical and cultural history of the Turner Valley Oilfield, including that of the gas plant site. The TVOS also focuses on improving energy literacy in general. Catalyst for the 2014 Centennial Celebration of the Dingman #1 discovery well. The program included a theatrical presentation that traced the challenges involved in the development of the Turner Valley oilfield through portrayals of the leading characters instrumental in achieving the discovery and development of the oil and gas industry in western Canada. Working with Alberta Culture & Tourism: TVOS continues to support and work with Alberta Culture and Tourism to promote the historic gas plant tours and enhance the experience. Recently, the TVOS was encouraged by the government announced intentions to open the historical gas plant to visitors in the summer of 2017 if a favourable budget is brought forward in the spring. Initiated the concept for an Interpretive Site honouring Jack Bowman, former Plant Manager and Area Superintendent, and supporter of the Turner Valley Golf Course. Obtained a Grant from The Calgary Foundation in 2016 for Organizational Development to enhance the professionalism of the TVOS. Exhibit of George Webber photos of the gas plant curated at the Sheep River Library in July 2016. Donated artifacts to the Glenbow Museum. Acquisition of two line shacks provided to TVOS by interested citizens. 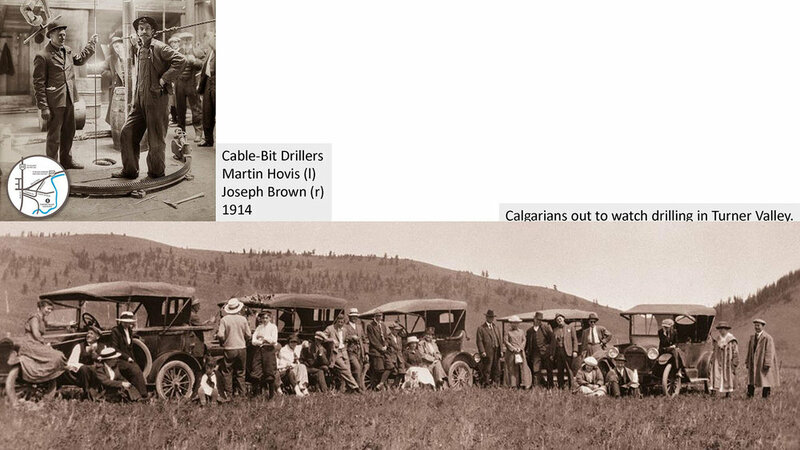 Vern Blinn and the drilling rigs he donated to TVOS on May 22, 2018. Susan Kristoferson and Larry Kapustka met with the combined 4th Grade Classes at Turner Valley Elementary. Larry had prepared the attached PowerPoint presentation that as it turned out was a useful segue for many different discussion points. The class had previously studied events and aspects of southern Alberta up to 1900. The primary focus of the teachers were to explore what it was like in the Turner Valley area from the 1900s onward, especially as it related to the Town. The questions that the students asked, let us work through the historic stages from pre-discovery, the early days as a gasoline producing facility, pre-incorporation of Turner Valley, and discussions of what life was like during each of those periods. They were on-point the entire time and stayed enthusiastic about the topic right through the 45-minute period. When it was time to leave for their next class period, they continued to come up to Susan and Larry to talk about different aspects of the times. It was a very rewarding experience for Susan and Larry and they encourage others to jump at opportunities to meet with students. Cooper Bessemer 's promotional video telling how and why the GMV was developed. The purpose of these 10 GMV compressor units was to increase the pressure of the natural gas received at the plant inlet from about 50 pounds per square inch (psi) (340kPa) to 300 psi (2070kPa). 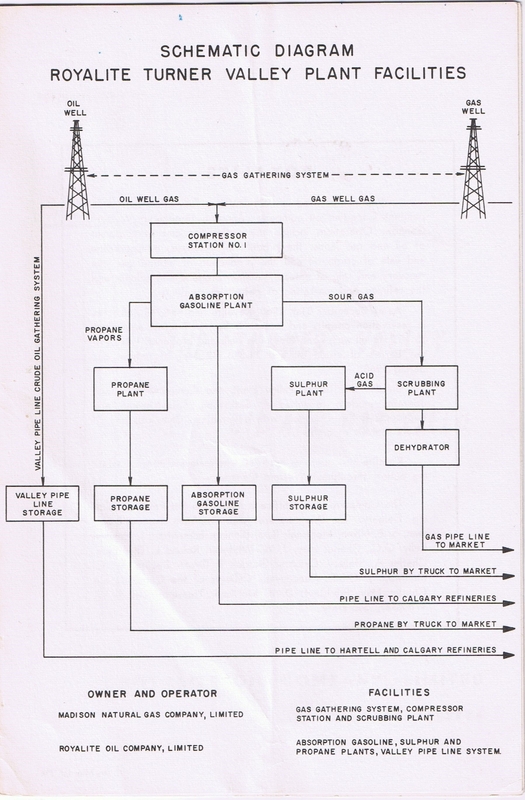 This higher pressure, along with subsequent process equipment modifications, increased both gas processing efficiency and overall capacity allowing the TVGP to produce a record sales gas volume of 104 million cubic feet (2.9 million cubic meters) on January 20, 1950 (when ambient temperatures were -28 degrees Celsius). The sweet sales gas was sold to Canadian Western Natural Gas Company Limited for distribution in Calgary. Operation of these GMV-6 compressor units continued until 1985 demonstrating both the reliability and maintainability of this design. Rancher William Stewart Herron knows there's oil under Southern Alberta's Turner Valley. It bubbles up out of the ground as natural gas. Pioneering cowboys used it for campfire fuel. The problem is, he also knows that the bulk of the oil is deep down below the earth and he has neither the equipment nor the know how to get at it. He teams up with veteran Canadian oil driller Archibald Dingman. Together, they discover and produce light oil — gasoline — helping found Alberta's petroleum industry and bringing a new economy to Western Canada. Story of Oil explains 1940’s Turner Valley oil exploration, seismology, coring labs, drilling and completion–and offers a friendly reminder why the world needs oil. 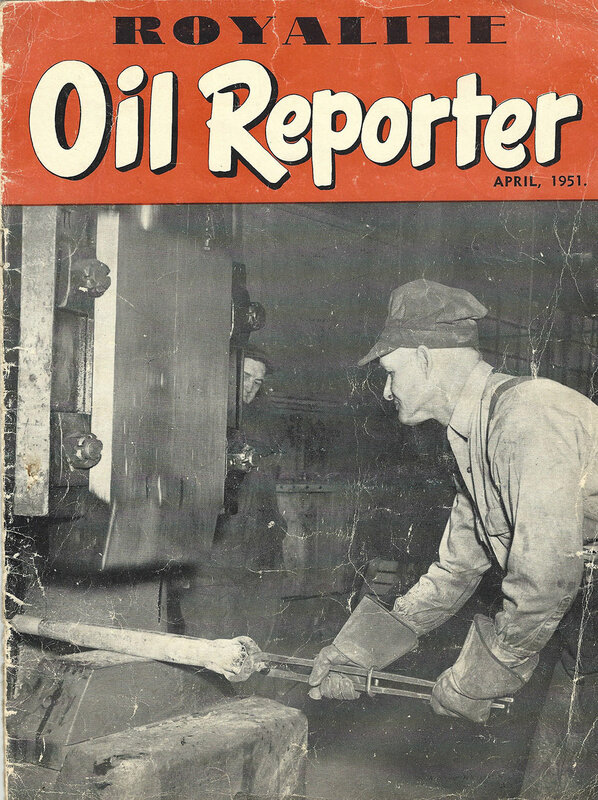 Royalite Oil Reporter Magazine 1950 and 1951. 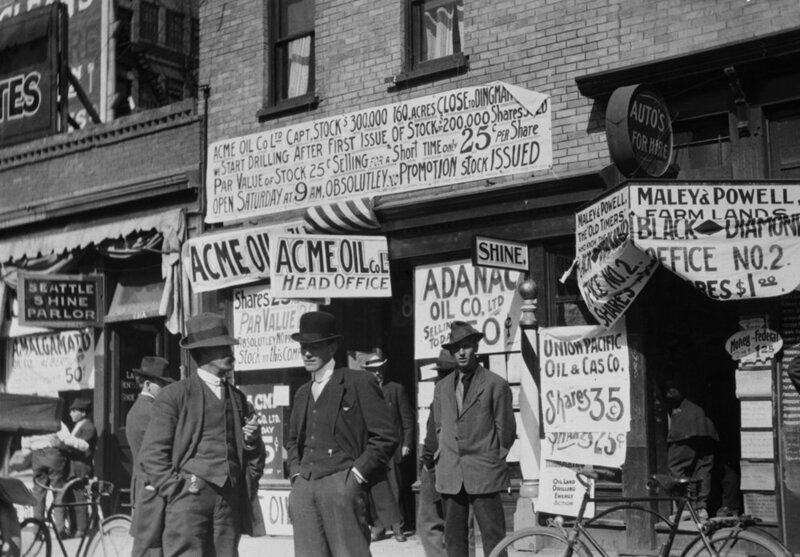 “The Royalite Forge and Machine Shop in Turner Valley is one of the most efficient and best equipped of its kind in Alberta.” The article makes it clear oil field workers were expected to have a DIY attitude!! Worker safety was constantly stressed and rewarded as noted. Royalite's Forge & Machine Shop 1951.